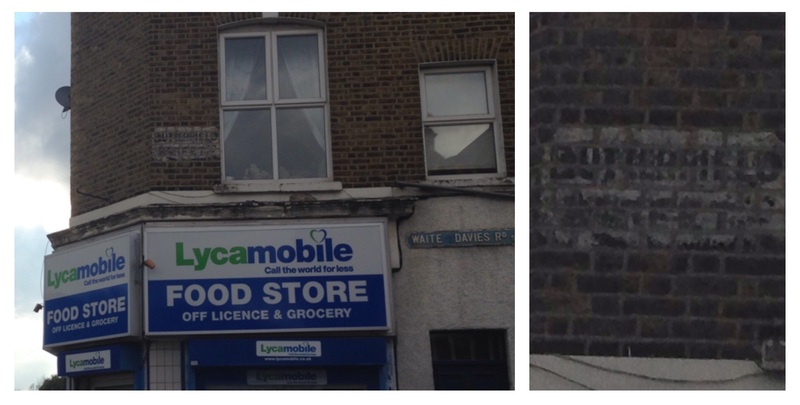 On the corner of Waite Davies Road in Lee, high above street level, is a fading painted sign of a street name that is no more – Butterfield Street. 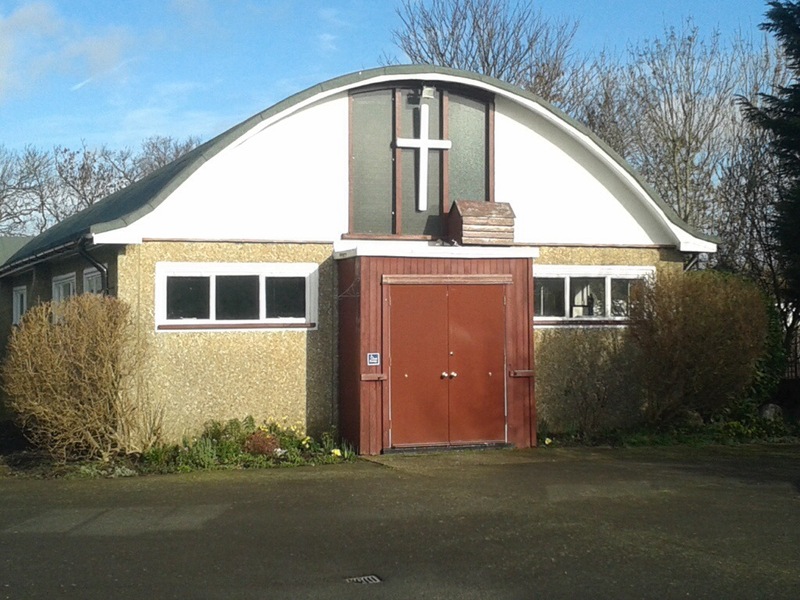 It is now known by the name of a long-serving pastor who was based at a chapel opposite the sign – it is a (hopefully) interesting story. 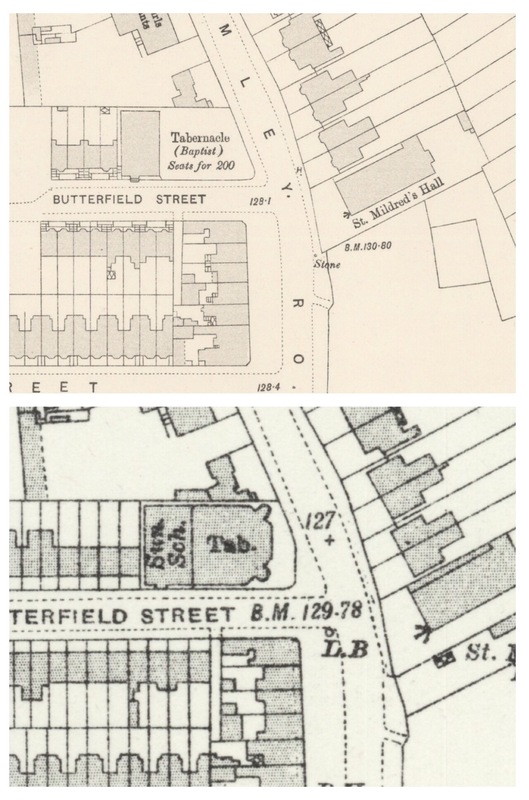 The eastern end of Butterfield Street was a late Victorian development, just off Baring Road (then Burnt Ash Road) its name possibly relating to a former field, presumably like its near neighbour Summerfield Street. There was still, just, a farm nearby, Burnt Ash Farm, on the corner of St Mildred’s Road and Baring Road. The farm site was later to house United Dairies Depot, nearly became a Big Yellow Storage Depot but is now a housing association development. Butterfield Street had an eponymous dairy run by Thomas Clark which in 1913 had 28 cows. 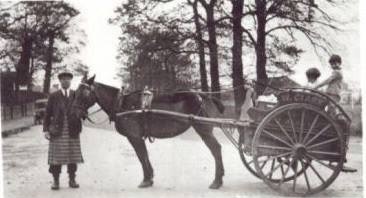 The Clark family had been farming in Lewisham since at least the end of the 18th century at Holloway Farm (roughly where Farmfield Road on the Downham Estate is now) and by 1841 had moved to College Farm, around Lewisham Town Centre (1). By the 1870s, Thomas Clark had a small holding at what was to become Butterfield Street which was known as Clark’s Dairy. The diary became gradually surrounded by the growth of Butterfield Street – the eastern end in the late 19th century and westwards in the 1930s. Thomas Clark was born in 1841 was married to Elizabeth, who hailed from Cuxton, near Chatham. In the 1881 census, the family was listed at 15 Butterfield Street, with six children (they were to have 10 children in total, although only 7 survived until the 1911 census). They used a field by the railway, presumably where the Willow Tree riding school now is, and they had 40 cows in a field roughly where Harland Road is now (2). This latter field was developed by the the builders W J Scudamore in the 1930s – something covered in the blog in October. The dairy seems to have been the base for a milk round which initially included Blackheath Standard and Morden College, but during WW2 restrictions meant that the round was just around Baring Road and Burnt Ash Hill. World War 2 also saw the cows evacuated to Ashford following Bomb damage, probably a V1 rocket on 16 June 1944 which hit Ronver Road. It seems that the evacuation of the cows was only a temporary one, local residents have memories of cows being walked along Baring Road in the 1970s – see comment from Helen below. There were also fond local recollections of both collecting milk from the diary and the Clarks delivering milk from Waite Davies Road well into the 1970s in Facebook comments on the post. This was also confirmed by Birchenough (3). The site of the diary is still there, it was used was used for a while by MJ Mechanical Services and then for many years by gas and plumbing contractors, P & R Installations but, at in November 2015, appears to be for sale. The buildings have been much altered and/or replaced since Thomas Clark’s days there. The streets known as Butterfield Street, Summerfield Street and Ronver Road do not bear a good reputation, although the houses are in a fair condition structurally. The change in name came in the 1930s, James Waite Davies was a Baptist pastor who worked at, what became known as, the South Lee Tabernacle from 1905. Waite Davies was born in 1861 in Newbury in Berkshire. The 1911 census showed him as living at 29 Baring Road, he had been married Kate, also from Newbury for six years, it was probably his second marriage as his oldest daughter living at home was then 20, he also had sons of 12 and three and another daughter of 5. All the children had been born in Lee. In 1916 Kelly’s Directory listed Sunday services at 11:30 am, 3:30 pm and 6:45 pm, along with Monday and Wednesday evening services. Waite Davies was pastor at the church from 1886 to 1930 and presumably the Butterfield Road had its name changed to celebrate and remember the life of a long standing priest and member of the community. 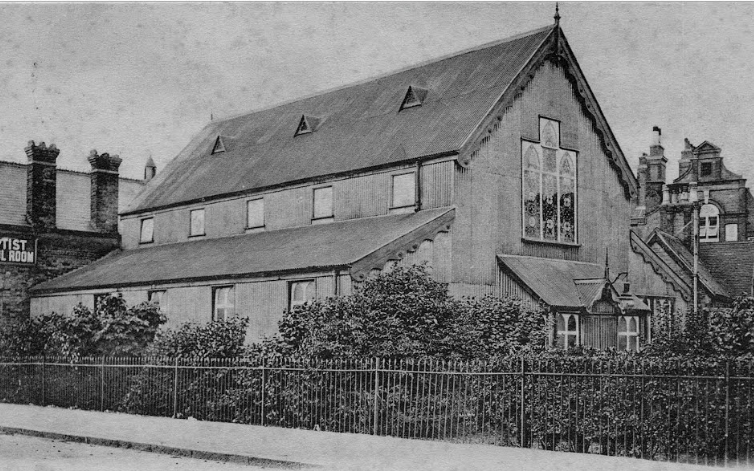 The South Lee Tabernacle is a fine building which still stands at the corner of Waite Davies and Baring Roads – it isn’t listed, but perhaps ought to be. It is now known as South Lee Christian Centre and used by the Trinity Presbyterian Church, a branch of the Presbyterian Church of Ghana. Thank you to P&R Installations, the former occupant of the dairy site, for sharing of the history of the site. 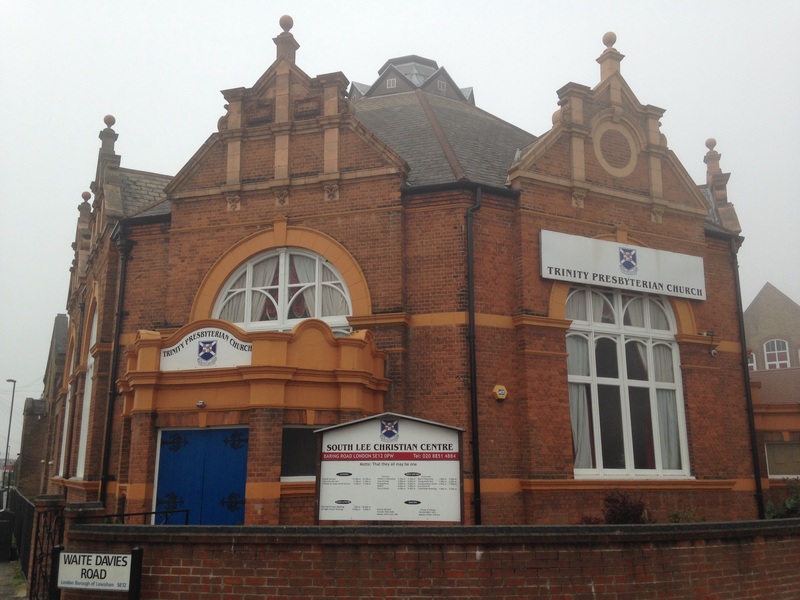 This entry was posted in Lewisham History and tagged Butterfield Dairy, Butterfield Street, James Waite Davies, Lee, South Lee Christian Centre, South Lee Tabernacle, Waite Davies Road on November 12, 2015 by Paul B.